Suki explores the crystal waters of Canada's Lake Louise. There are Instagram cats, and then there’s Suki. This wide-eyed Bengal is a bona fide celebrity, and with almost 800,000 Instagram followers, she boasts more social media fans than many human celebrities. Suki’s account, run by owner Marti Gutfreund, documents her adventures through Western Canada and beyond. But when you’re that famous online, you’re bound to find fans in the offline world too. “We get stopped by, I would say, at least 50 percent of people” when out hiking, Gutfreund says. 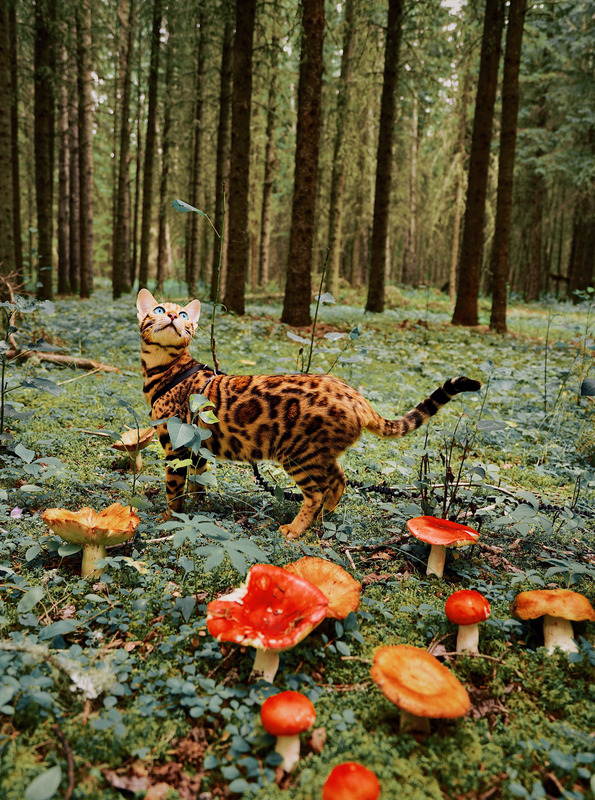 Everyone is curious about the photogenic feline strutting through the woods. Though Suki usually appears without a leash on Instagram, she’s always wearing one when outdoors — Gutfreund simply removes it in Photoshop to achieve a cleaner image. 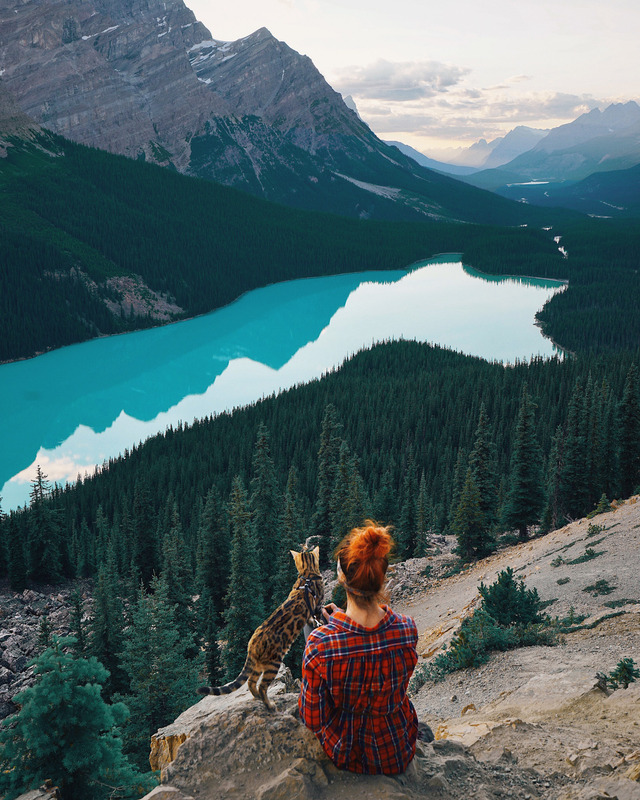 “It’s absolutely bizarre,” Gutfreund says, adding that her home province, Alberta, has plenty of other adventure cats around. But few pets can match Suki’s panache. With striking dark marks that evoke her wild ancestors — Bengal cats are descended from both Asian leopard cats and domestic cats — Suki was born to be a star. 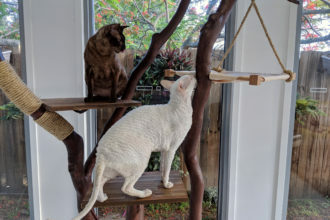 Gutfreund welcomed Suki into her life after a beloved cat from her childhood passed away. When she felt ready for a new pet, Gutfreund wanted a companion she could take along on outdoor photography trips. 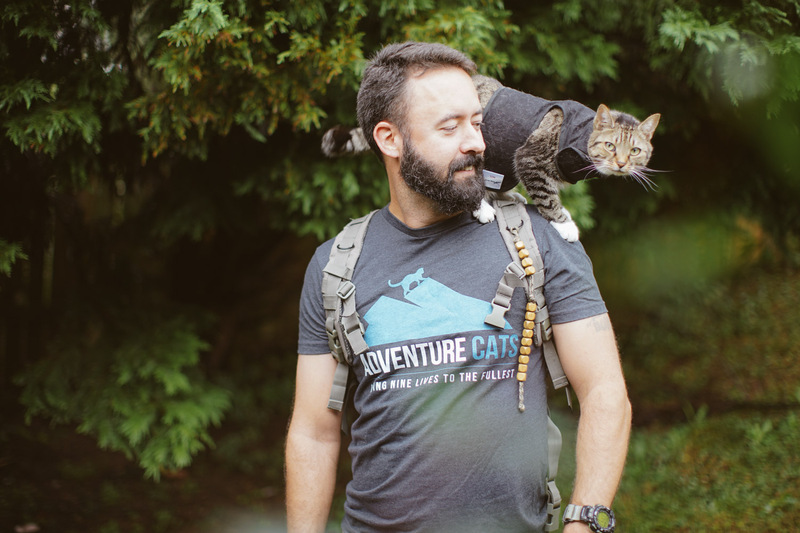 So she brushed up on how to raise an adventure cat, adopted Suki and began leash-training her. At first, she took baby steps. Gutfreund didn’t bring Suki outside until she was 3 months old, and had received all her shots. 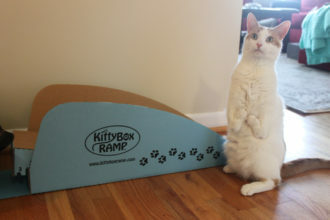 Instead, she worked indoors with Suki for 10 minutes at a time, using treats to reward her for good behavior. 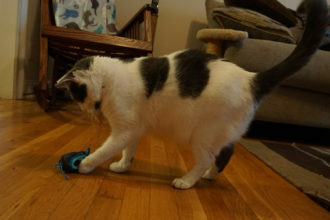 “I think the treats were the best motivation for her,” says Gutfreund. Before long, Suki was venturing outdoors, and while the natural world overwhelmed her at first — so many new sounds and scents! — she adapted quickly and loves being outside now. The photos on Suki’s Instagram account depict her confidence. Whether she’s perched on a canoe or overlooking a valley, Suki can strike a model-like pose almost anywhere. 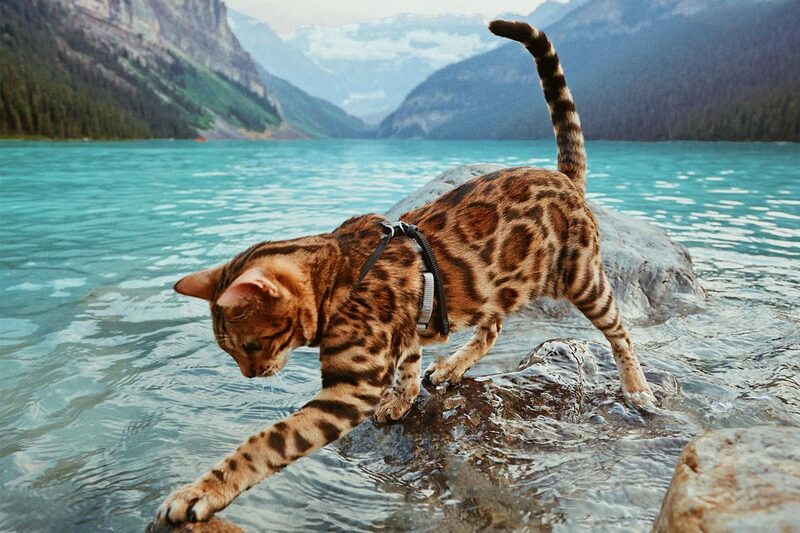 Gutfreund loves photographing her feline friend at the ethereal Lake Louise and Emerald Lake, both nestled in Canadian parks, but Suki herself has other preferences: desert settings. For example, she enjoys touring Dinosaur Provincial Park in Alberta’s badlands, a dry terrain that allows Suki to blend in among the burnt-orange rock formations. “She absolutely loves it there,” Gutfreund says. 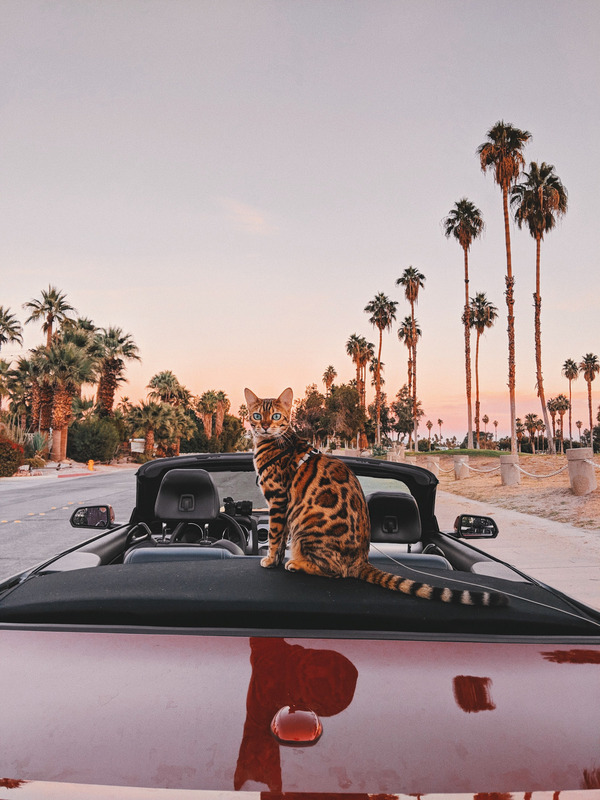 Suki has also traveled to the more glamorous desert city of Palm Springs, California, where Gutfreund captured a picture of her sitting atop a cherry-red convertible. 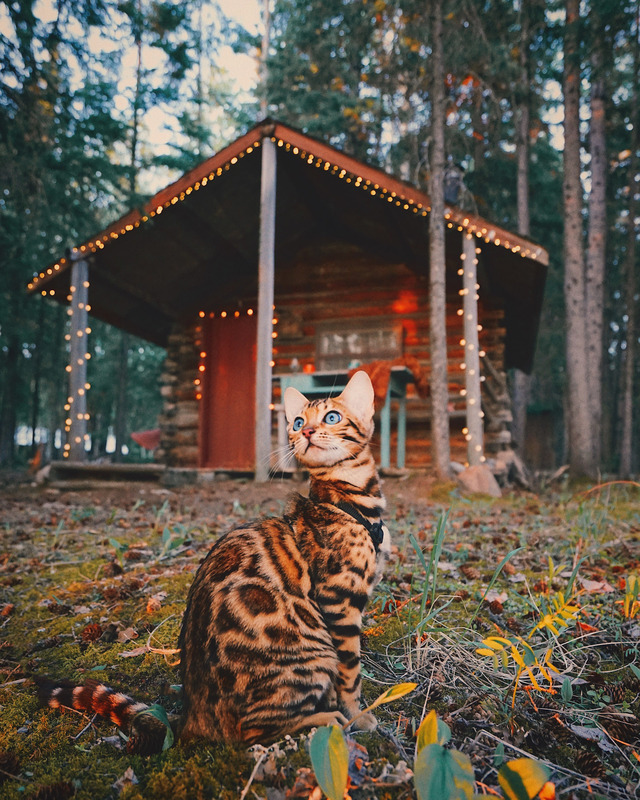 An experienced photographer, Gutfreund originally posted Suki’s pictures to her own Instagram account, but she created an account exclusively for Suki after noticing how popular her feline’s photos were. “When I posted pictures of her, they would get twice the likes of my photos,” she laughs. So Suki was offloaded to a new account, and her fans followed. 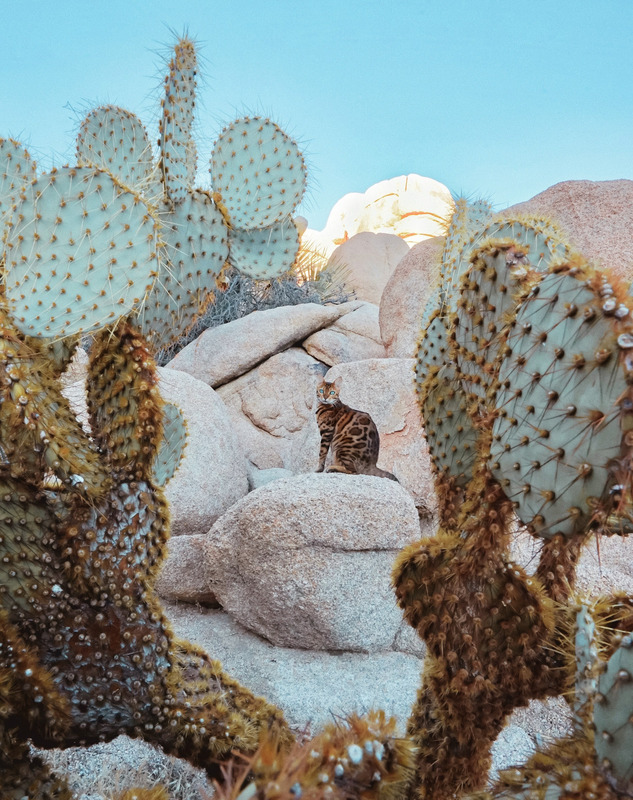 Gutfreund meticulously crafts each image she publishes: Once she’s selected a photo, she amplifies its beauty through editing tools like Adobe’s Photoshop and Lightroom, giving it a mystical quality. 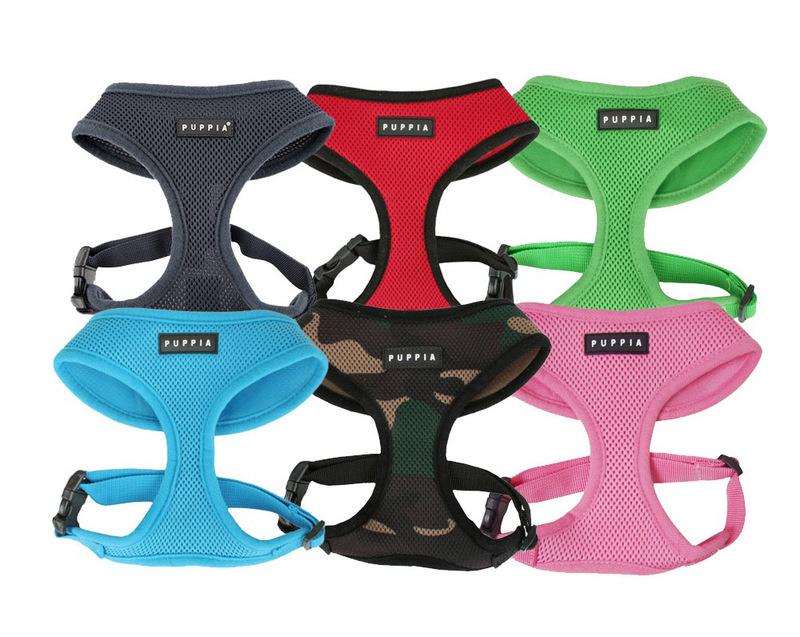 Canada’s provincial and national parks require animals to be leashed, and Gutfreund is committed to Suki’s safety. 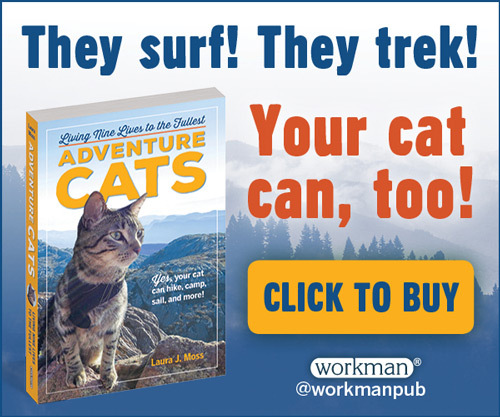 She encourages other owners of aspiring adventure cats to properly leash-train their pets before taking them outdoors. 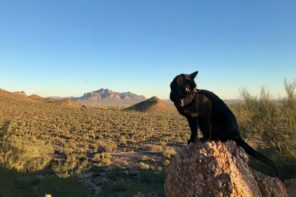 Once a cat is comfortable outside, owners should ensure their pets stay hydrated even on shorter adventures, Gutfreund advises. 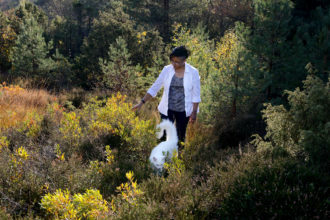 Suki herself is gearing up for the adventure of her lifetime: In August, Gutfreund is whisking her to Europe for six months. They’ll visit Gutfreund’s family in Germany and tour the rest of the continent too, snapping as many pictures as possible along the way. 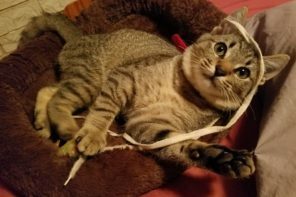 Scroll through the gallery at the top to see more “ameowzing” photos of Suki, and keep up with all her adventures on Instagram.